The 2017 FIE Congress, held in September 2017 in Dubai, agreed upon a few new rules changes. Perhaps the most pertinent to US fencers is the foil chest protector changes that will be partially required at the 2018 Summer National Championships in a few months. The only change on the docket with the potential for impact to the game itself is the requirement for a thin layer of foam on the outside of all chest protectors used in foil. This will require everyone who uses a chest protector in foil, both men and women, to either purchase a new protector with the correct foam layer, or to purchase and affix an approved foam layer on top of an existing chest protector. Approved chest protectors and foam layers must be appropriately branded with the SEMI mark, so this is not an at-home DIY fix. This change was already rolled out on the world level at the Verona Junior and Cadet World Championships. Per the US Fencing Referee Commission blog, they will also be rolled out at the 2018 Summer National Championships in Cadet, Junior, Division I and Veteran events. All other events at this tournament will not have this requirement. All USA Fencing events will require this change starting next season on August 1, 2018. At date of publication, an exact date can’t be found for the FIE rollout, but presumably all events moving forward will also have this requirement as well. The impact to the game, if any, is yet to be seen. Foil chest protectors have a long, mixed history. Controversy around chest protectors initially rose when the FIE initiated a rule change intended to decrease the usage of the flick, but the unintended consequence was that chest protectors became an exploitable defensive tool. It became very difficult to perform a simple direct attack on a chest protector. People realized this and leveraged it, which resulted in several quick, emergency rules changes and further tweaks to timings over time. Today, we’re in a better place, but directly hitting a chest protector can still be a bit dicey. Since women are required to wear chest protectors, this is a nontrivial issue in women’s foil. This rules change is presumably to try and alleviate this issue further by making the surface of a chest protector softer. But the proof is in the proverbial pudding here, because foil is a fast, high intensity game and 4mm of EVA foam is not a lot of padding. The impact to the game may be minimal. Time will tell on this issue. 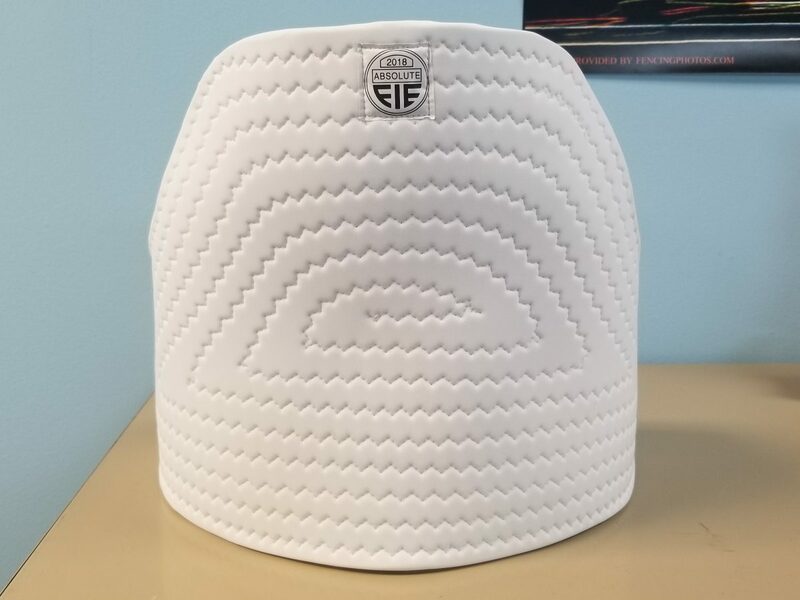 An example prototype for the new style of chest protectors can be found here on Leon Paul’s blog, along with some further reading on the history of chest protectors and path to where we are today. Absolute Fencing Gear has both a women’s and men’s version of the new chest protectors on sale now for those going to Summer Nationals or who want to prepare for the change now. A change that has been in the pipeline for a bit longer is the change to mask fasteners. Rule of thumb is that for FIE events, masks require two fastening systems that each comply with specific rules. So, for example, if your mask has a metal tongue, it also requires a particular elastic strap. This is a rule that has been in place in some form since 2014 (see: previous Fencing.net coverage on the 2014 mask rules changes), but the new rules changes clarify and codify the requirements. As noted by a recent Uhlmann newsletter, most masks can be retrofitted if they are not compliant. Reversing the shoulders in foil is no longer a penalty in and of itself. This change has been in effect everywhere since the start of 2018, but Fencing.net has not previously explicitly reported on it. Note that while reversing is no longer a penalty, other things that come with reversing still are, such as covering target with your off hand. So be careful out there when turning! The full 2017 FIE Congress minutes can be found here.